I run a tight ship at the house. There is always something to be done (seriously, the list never ends, does it!?) Hallelujah that my son is old enough to pitch in, especially since he is spending the summer everyday with yours truly. I need to be able to get stuff done (don’t we all?!) and be more available to actually enjoy these precious summers while he is growing up. I actually made this chore chart several months ago but wanted to be absolutely sure that it was going to stick before I put it on the blog. 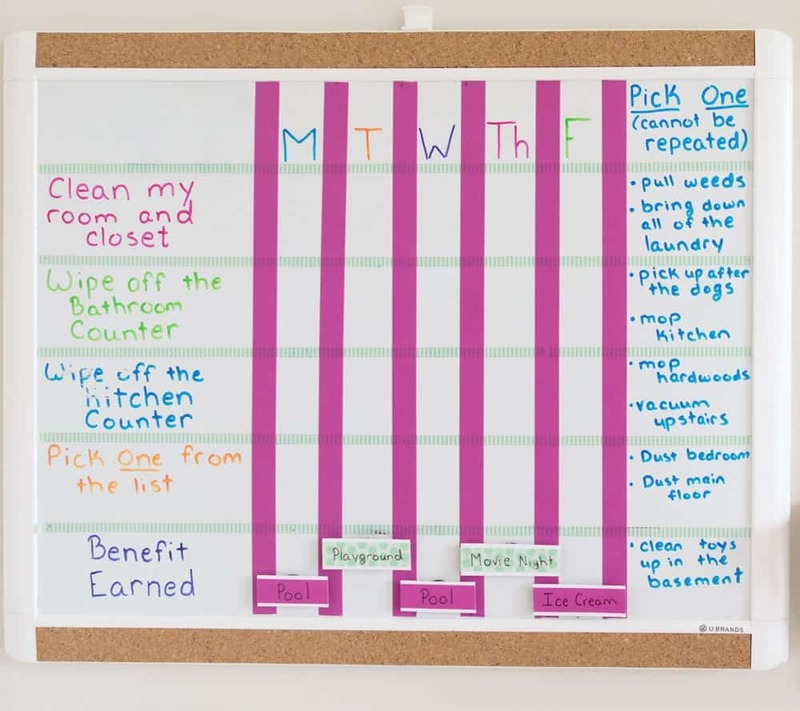 You see, we have done chore charts before, but there were snags. The printable varieties didn’t do what I wanted and I still had to be mindful to print and rewrite them every week. Other varieties were too complex. 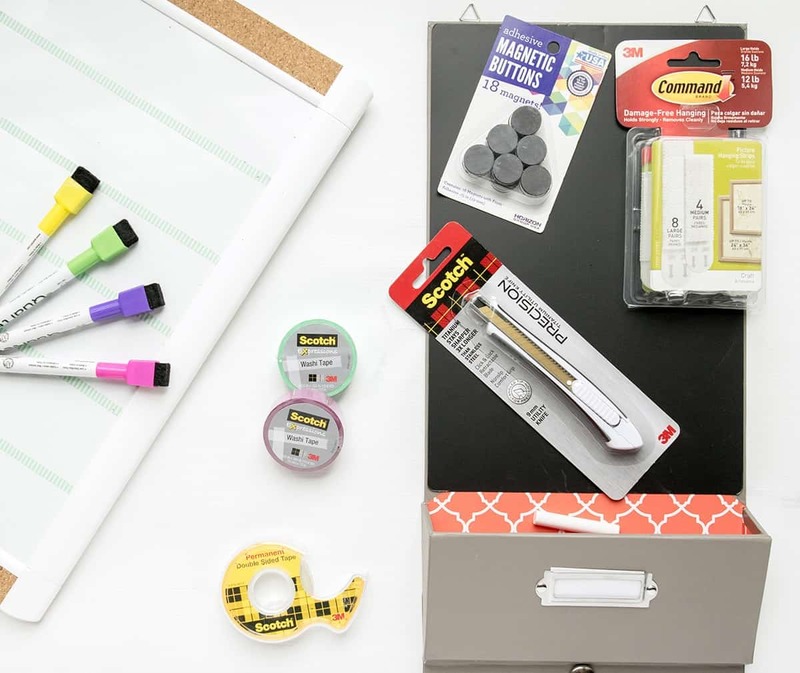 After seeing a few incarnations of magnetic chore charts and family command centers on Pinterest, I gravitated towards a dry erase board. It’s easy to maintain. No weekly printing or rewriting. He manages it on his own. It is easy to change chores as needed. 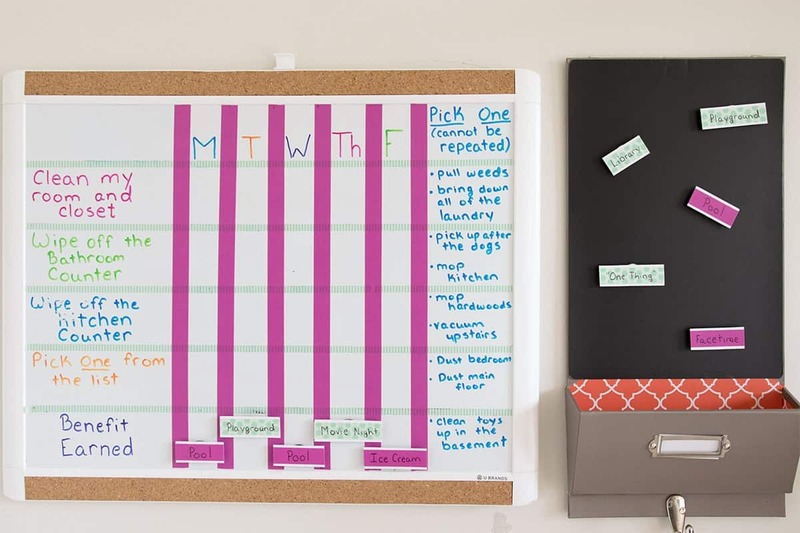 This design allows for a daily and weekly chore assignment. It hold me (mom) accountable as well in scheduling our day. This is the summer version and we are learning about “Benefits” and “Consequences”. That is the theme of the board that I created but I know every family runs differently. For instance, my son does not get an allowance per say. He’s 9. If I gave him money, he wouldn’t know what to do with it and it would fail rather quickly once he got maybe $20 in his piggy bank. For the summer, he must do his chores and a separate “Mommy School” list before he can play. For the summer, we came up with a special “benefits” program for finishing his chore list before lunchtime. His chores help the family out and thus I give him a benefit in return. He is absolutely expected to complete them, but it must be done early in order to earn the benefit. 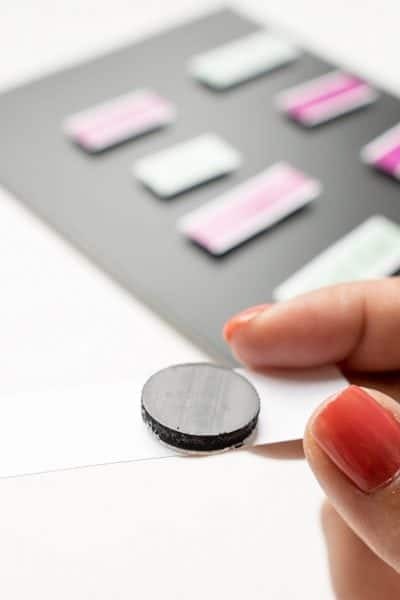 Using a magnetic board, I taped some simple tags with various benefits that he can earn. Because they must fit my schedule, we plan out the potential benefits for the week. Our list is limited to activities that take around 1-2 hours per day. It also serves as a great summer bucket list if you want to add additional items such as “theme park”, or “grandma’s house”. 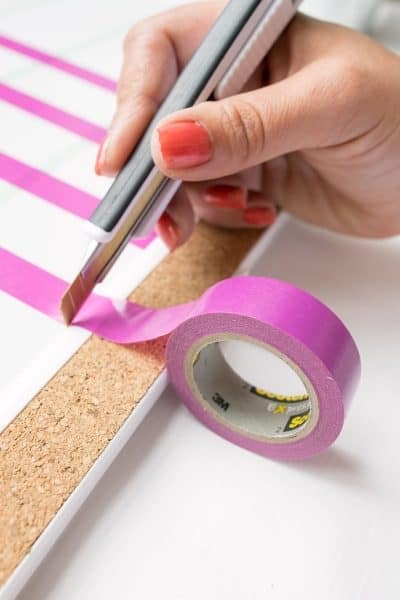 My love for Picture Hanging Strips is pretty well documented on the blog. The velcro attachments make hanging my Map art or wood signs and pictures easy as well as damage-free when I change my mind. Honestly, the best part of this chore list is that it also forces me to take time to be fully present with him and enjoy his childhood. I know I can get so wrapped up in all the workings of the house or our latest DIY project. This board makes a well oiled machine for our family and everyone is a team player. I love that you can make it in minutes and there is no waiting for anything to dry. 11 Stations your kid’s will want to do homework in! Thanks! It’s our theme this summer. Since he is helping mommy by doing his chores, I benefit as well!